The award winning Delta and Santorini displays by Metricon highlight the ultimate in family living with each single story home offering contemporary yet timeless design. 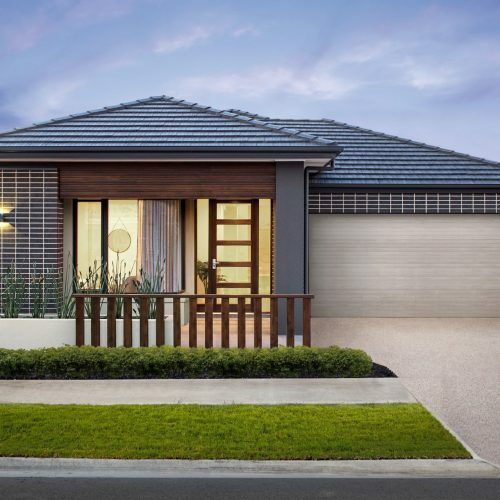 Metricon South Australia General Manager, Richard Bryant said the north was becoming increasingly popular for new home owners. “The latest Brookmont development is unique and modern in its offering and we felt that the Delta and Santorini designs were the perfect fit,” Mr Bryant said. With its spacious interior, the Santorini fits comfortably on a 16 metre wide block whilst the Delta is efficient on space and design to accommodate a narrow 12.5 metre block. The Metricon display homes at Brookmont are open Saturday, Sunday, Monday and Wednesday 12-5pm. Brookmont is the newest master planned estate in the north to be unveiled bringing contemporary living to more than 975 new homes. Located on the corner of Curtis Road and the Northern Expressway, Brookmont is located just a short drive from Adelaide’s CBD whilst providing all the space and amenities home owners need to enjoy a relaxed and modern lifestyle.